Do you want more Nonviolence training? Join Ronald, Barak and people from all over the country as we discuss a principle of Nonviolence and talk about daily application. These principles changed the world and when applied, change us. Join New Way, as we host a monthly webinar on the principles of nonviolence and learn how to apply them in everyday life. 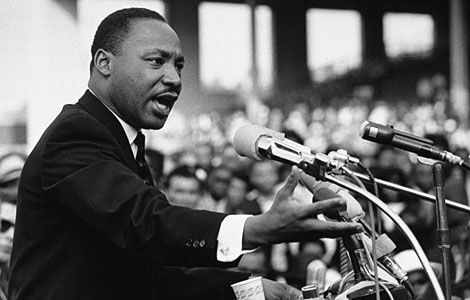 The principles of nonviolence inspire, convict and equip us to lead the lives we are chosen to lead. Learn how to see things in a New Way, gain a new perspective and learn to embrace forgiveness, understanding and acceptance. Understand and break free from your own prejudice, conditioning and judgment, which helps each of us respond to conflict with reconciliation. 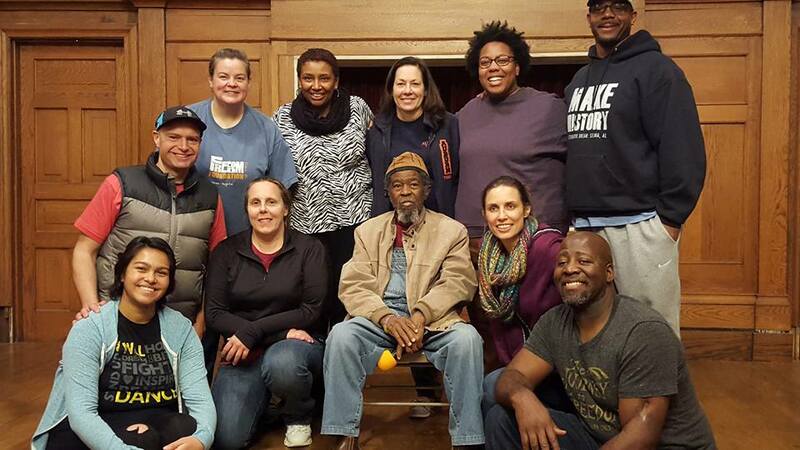 Cherita (back row, second from the right) and fellow participants have a life-changing experience at the New Way 2016 MLK Day Training in Selma, AL! A police officer and a victim of on campus police brutality walk in a room. With the way some things are currently going in our country, it sounds like a recipe for disaster. In actuality, it was the beginning of an amazing three day journey! A recent training with Something New’s nonviolence program, New Way, the room filled with people from different backgrounds and upbringings, holding various positions of employment, at different phases in life all united for a common cause: to discover the power of Dr. King’s Nonviolence and Conflict Reconciliation. 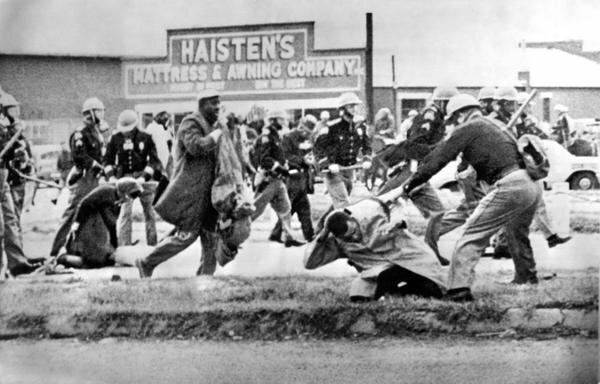 Freedom Fighter and current Congressman John Lewis practicing nonviolence while being beaten by a police officer on Bloody Sunday. Principle #4: Accept suffering without retaliation, for the sake of the cause to achieve the goal. Self-chosen suffering is redemptive and helps the movement grow in a spiritual as well as humanitarian dimension. The moral authority of voluntary suffering for a goal communicates the concern to one’s own friends and community as well as to the opponent. “The ultimate measure of a man is not where he stands in moments of comfort and convenience, but where he stands at times of challenge and controversy.” -Dr. Martin Luther King, Jr.
To learn more about the Principles of Nonviolence, developed by Dr. Martin Luther King, Jr. during the Civil Rights Movement, schedule a New Way Nonviolence and Conflict Reconciliation Training here! Principle #3: Attack forces of evil, not persons doing evil. 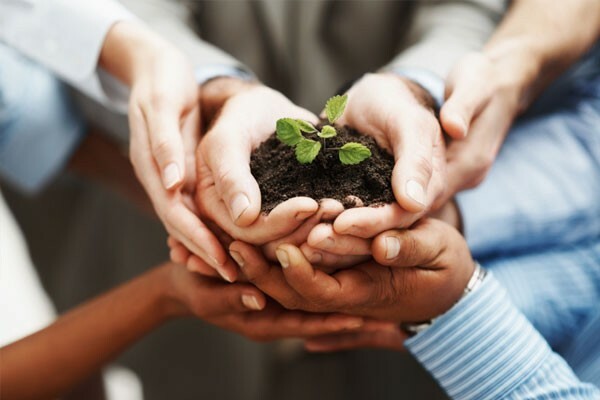 The nonviolent approach helps one analyze the fundamental conditions, policies, and practices of the conflict rather than reacting to one’s opponents or their personalities. “Love is the only thing that can turn an enemy into a friend.” -Dr. Marthin Luther King, Jr. Principle #2: The Beloved Community is the framework for the future. While sitting on the steps of Historic Brown Chapel in Selma Alabama in 2007, I saw a group of young boys running around the projects. I hated the deplorable conditions they called home–and I don’t just mean the rundown buildings where they lived. People of Selma grow up in a system that still tells them they are less than or better than others based on the color of their skin. This vicious cycle creates hopelessness–resulting in staggering statistics and ultimately violence. The inscription on the MLK memorial in front of Brown Chapel read, “I Had A Dream.” The tragedy is that it feels as if MLK’s dream has died in this pivotal city that played a huge role in the Civil Rights movement that changed the course of our nation and the world. I couldn’t stand by and watch while so many lives were being destroyed. I had to do something to help break this cycle of racial oppression and extreme poverty. Driven by the injustices we saw crippling the city, my wife and I chose to follow our dream and fight for the equality of all people. We left our comfortable life and moved to Selma in the summer of 2007. We chose to stand against a system that has been in place for hundreds of years. Does It Hurt Enough Yet? “The dog howled and complained in pain, but chose to remain seated on the source of its agony.” Check out New Way to learn how to deal with the issues causing you turmoil. The below adage (or a similar version) may be familiar. WOW!!! 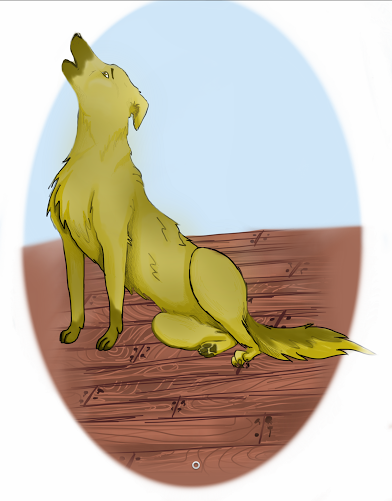 The dog howled and complained in pain, but chose to remain seated on the source of its agony. It seems ridiculous, but we (individually and collectively) can operate this way. For many years, we have felt the pains of inequality. We have felt and seen the injustice. We have watched news roll in of mass shooting after mass shooting (to the tune of more than one per day, on average). And like the dog, we haven’t moved. We’ve complained but failed to take deliberate action against the source of our pain. Barak Gibson and Ronald Smith training 141 participants of the Blugold Beginnings Mentoring Group in Eau Claire, Wisconsin. To learn more about hosting a training at your school, click here! We are always looking for fresh ways to create change. That is exactly how our conflict reconciliation program was born. We have long provided “nonviolence training” for our college alternative breakers (what’s an alternative breaker you ask? Click here). The training helped students understand the principles behind the Civil Rights movement that they had traveled to Selma to learn about, and also emphasized how those same concepts were still applicable and desperately needed today. Students loved it! 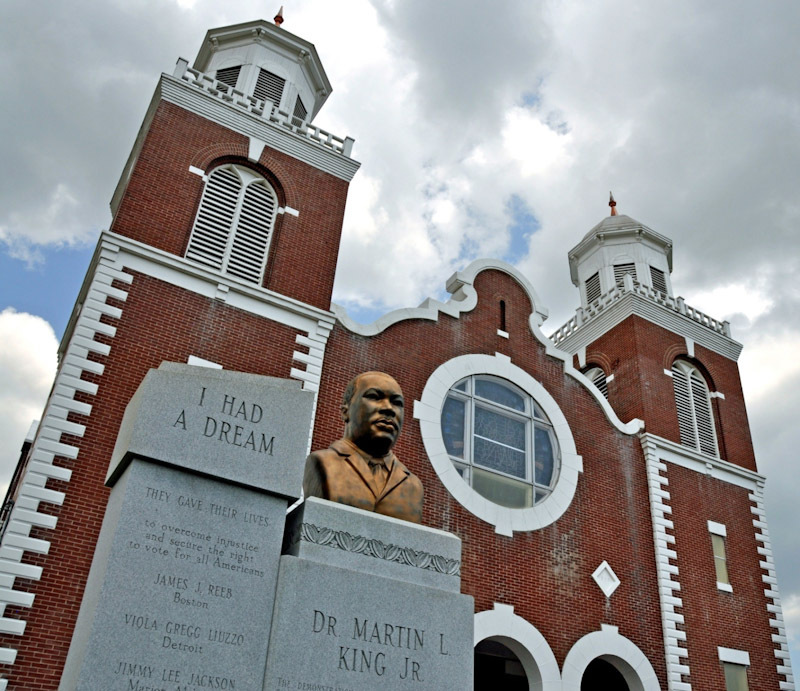 It gave them tools to take the change we were seeking in Selma back to their own communities. Conflict truly is everywhere. Our volunteers were deeply moved by what they were learning as they listened to Dr. Bernard Lafayette and other trainers. Some pursued certification as trainers themselves and wanted to add this valuable training to our program offerings. It is something new for us as an official program, but the New Way training is just a teachable form of what our volunteers have always sought to demonstrate. We are proud to introduce this program and can not wait to get it out to the masses! Light shines bright in the darkest of places. The world seems like such a volatile place right now. In fact I recently read an article that said “Too many students doubt that their community is, or can be, strong enough to stand up for itself, entertain arguments and strive to persuade opponents.” This is why we must be equipped, prepared and ready to take that stand. Martin Luther King, Jr said “There is little hope for us until we become tough minded enough to break loose from the shackles of prejudice, half-truths, and downright ignorance. 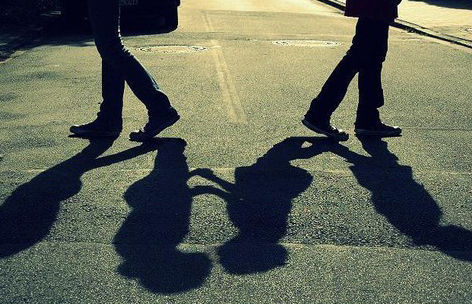 The shape of the world today does not permit us the luxury of soft mindedness”. We must choose to be the lights and make the world a better place. Each of us have been given a voice for a reason.